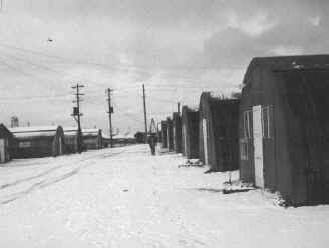 I remember days like this when snow nearly covered the Quonset huts. To me the cold never stopped. I was stunned to see Japanese people walking around in Sapporo without shoes or boots.